‘Madonna 66’ is the complete collection of 66 lost and found Polaroid photographs, shot by Richard Corman in June 1983. A limited edition publication of 1,500 copies. 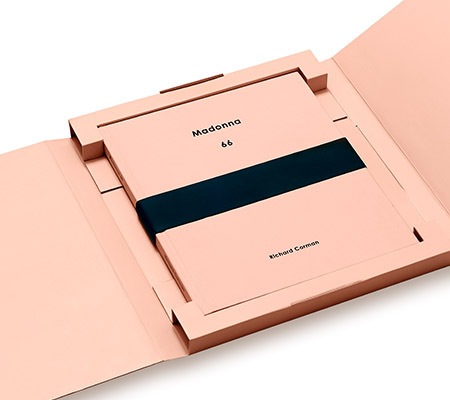 164 pages, housed in a flesh pink hard back cover, bound by a 50mm thick removable black rubber band, symbolic of Madonna’s bracelets. Signed by Richard Corman and encased in a protective outer flesh pink travel box. 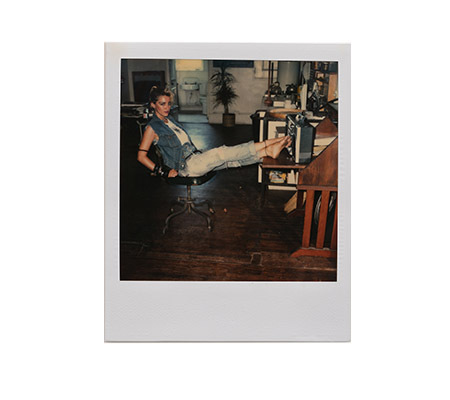 A new limited edition print, Polaroid #49, from Madonna 66 Collection will be released soon exclusively via Madonna66.com, see the Shop Now link below.